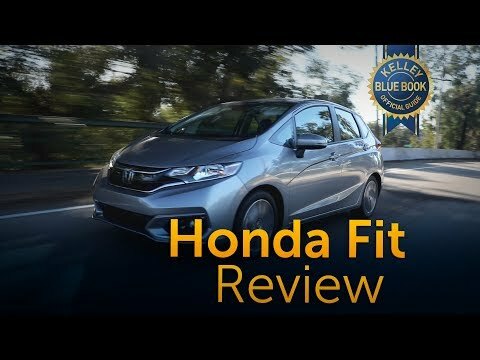 Improved with a retuned suspension, along with new safety and in-cabin technology, the 2018 Honda Fit is a fun, fuel-efficient and affordable subcompact with class-leading versatility. Honda calls it the 5-door car with attitude. We call it the benchmark in the subcompact class that includes the Toyota Yaris, Hyundai Accent, Ford Fiesta, Nissan Versa and Chevy Sonic. Well-designed little car with flexibility of hatchback. I have been getting great gas mileage, 41 mpg. I drive both in a city and on freeway. For such a small car it has enough get up and go for me. The hatchback is awesome. I recently bought a 7 foot ladder and I was just barely able to fit it in with the back seat down and laid it through towards the passenger seat. It's so easy to park and use. I have only had it in the spring, summer, and fall so I do not know yet how it will do in snow. I find the seats to be comfortable. The only negative and it's been very minor, is the cup holders in the center console are farther forward and sometimes I have to tilt tall cups to get them in. The extra cup holder is to the left of the driver in front of the vent, so I do not use that one much. I have been loving plugging my iPhone into the USB port and using the CarPlay feature. It's nice listening to my own music and podcasts. The radio also works well. I have the sport model and its been worth it to have the easily washable floor covers. Excellent visibility, with wide mirrors and corner windows -- very little blind spot. I love the interior cargo room, adjustable driver's seat height, tall alloy wheels, fog lights, rear view camera, rear windshield, and foldable seats. The wide mirrors make lane changing easy, and the cruise control allows my foot to rest. I also like the gentle feel of the pedals, key ignition and . The only things I dislike are the lack of air vents in the back, and that the windows cannot be opened when the car is off. The display settings could be better: I wish the GPS were built-in instead of requiring a smartphone (which I don't have), and that the engine temperature scale from C to H were visible, instead of just the symbols for when the engine is at either extreme. I love the movability of this car. It is great to use to whip around town. This car is amazing! It has a back camera and a side camera. It has a small gas tank, so you may have to fill up more often. So far my car tells me I get 34. 00 mpg. Which this can be changed. It works with android auto and iPhone's. It definitely has a rally car feel. It fits in tight spots, it does not have as much horsepower as I expected. But I still love it. When the gas is running 100 miles or less, it does conserve gas so it does not die so it will go slower. Also the seats lay down which makes a lot of room for bikes or bigger items. Also it comes with a towing hitch as well. This car is my baby! It has everything I need for a great price.